Am also a fan of this no-frills grilled fish outlet ( though I can't remember their name). The outlet is near to the fried pork cutlet eating place and has limited seats. Price Due to budget constraints, I usually ordered their set meal that are below $10... The set meal comes with a grilled fish, a hearty bowl of miso soup, rice , salad and a cup of hot green tea. In this period of inflation, their saba set is a pretty good deal and you do not need pay any GST or service charges and yet the service is pretty decent. Food Loved their miso soup which comes with huge chunks of salmon and white raddish. 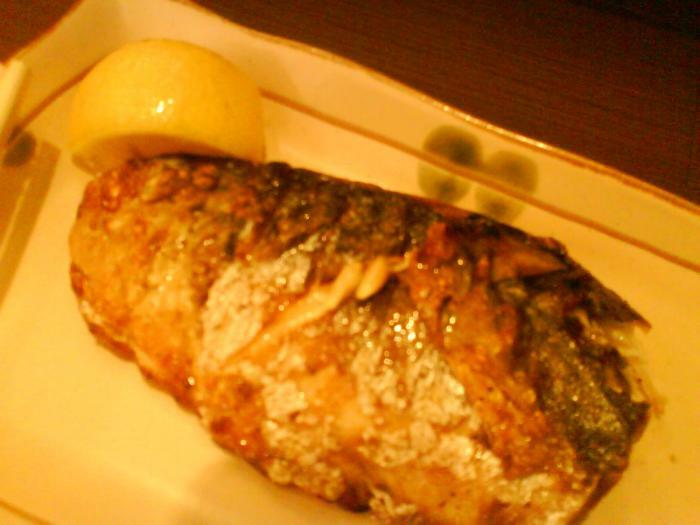 The light taste of the soup blends well with the grilled fish. Tip Due to limited space, its quite hard to get seats during peak hours & its literally a touch & go concept ( seats not conducive for long conversations) & not suitable for big group. Found this new Japanese Grilled Seafood stall at Takashiyama, near the escalator of B2. It used to be the Hokkaido Okonomiyaki stall. We were there quite late. So some of the items are sold out. I wanna try the Oden set, but no more. However, the aunty is kind to give me free sample to try - whatever is left in their pot. heehee… and its Oiishi!! The soup base is bonito, sotong tentacles and radish boiled, so its very flavourful. My Dear said he dun like the “fishy smell” and the salty taste. I ordered by Favourite - Yaki Ika meal (S$8.90). 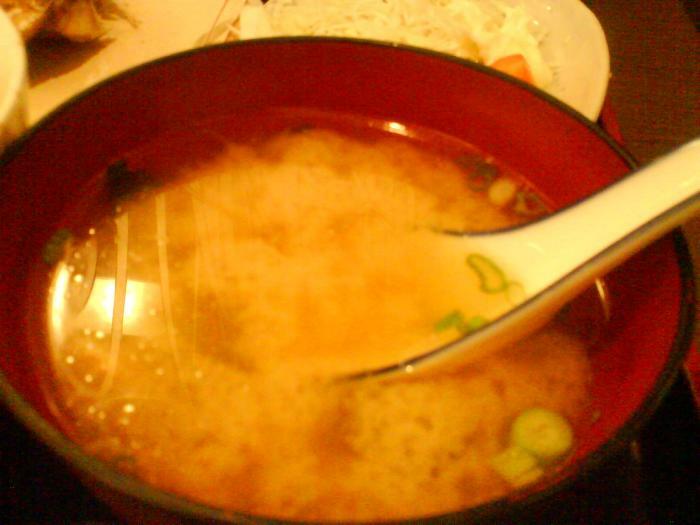 The miso soup is not ordinary miso soup, its Seafood Miso! The Yaki Ika is not too tough, but crunchy after the grilling. Dunno whether its that we were hungry or the food is really GOOD, we finished almost everything! They close around 9pm and its always packed coz they have limited eating area.